Hidden Valley Inn, a Luxury Life Style hotel with only 12 rooms, is the only resort within a 7200 acre private reserve bordering the Mountain Pine Ridge Forest Reserve, Cayo District in Belize. This intimate eco resort offers quality accommodation, fine gourmet food; locally grown coffee; attentive service and guided tours to discover the unique birds, flora and wildlife of the area. Guests enjoy exclusive access to over 90 miles of hiking and mountain biking trails as well as many secluded crystal pools and Waterfalls set in a tropical rainforest. For those seeking romance, one of the waterfalls may be reserved exclusively for the day. 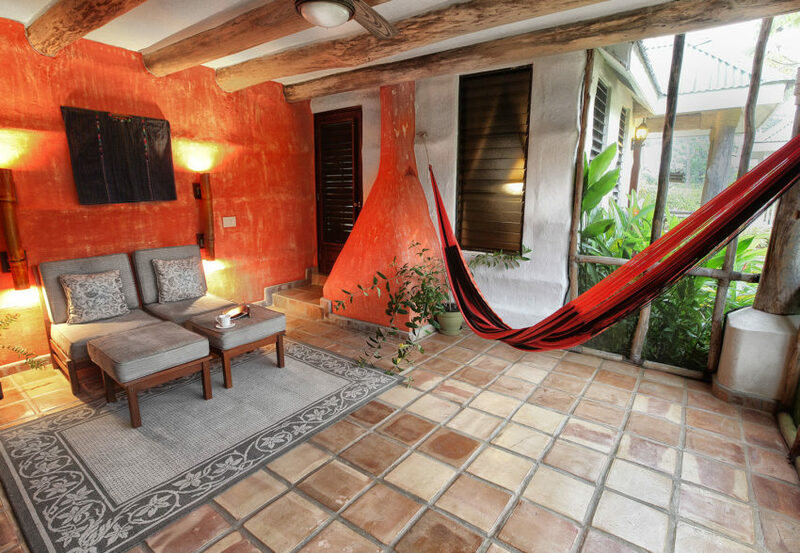 Situated in the Maya Mountains, this cozy forest lodge also serves as a convenient base for visiting the various scenic and historical attractions of the area, which include: Caracol, Xunantunich, and Cahal Pech Maya Ruins. Horseback riding through the forest with a local Maya guides is a unique experience; mystical caves can be explored on foot, canoe or tube. Restaurant- Our chef combines the bright authentic Mayan and Mestizo flavors with his Blue-Ribbon signature culinary style. The Cascade Trail- As you hike you will pass dozens of little streams and cascade, and walk over many bridges. Devil’s Falls- Meander through tropical broadleaf jungle from Butterfly Falls to Devils Falls (40 minutes), a series of waterfalls. Butterfly falls-This jewel of the property is an 80 foot waterfall. One room with a queen size bed, one room with two double beds. Private outside waterfall themed shower, claw foot bath, fireplace, screened in patio with hammocks and comfortable furniture. Patio door can be pushed back so that the area can be shared between the two deluxe suites. In addition to all the elements of the Estate Rooms, the Estate Suites include the enhanced features listed to the right. Five rooms have one queen size bed and five rooms have twin beds, private baths with tub/shower combination, vaulted ceilings with fan, fireplace, sitting area. 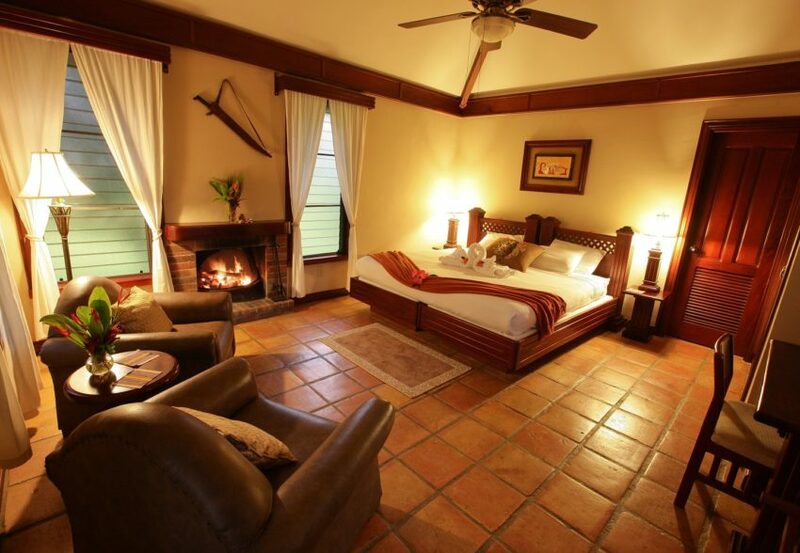 The decor of the Hidden Valley Inn cottages includes handsome mahogany and leather furnishings, terracotta tile flooring and local accents. Soft furnishings and amenities include luxury bedding, plush bath towels and complimentary in-room terry robes. The Estate Rooms consist of five king-bedded rooms and five queen-bedded rooms. King rooms can be divided to accommodate twin beds.